My great-grandparents journey to the United States would be via the passenger ship, the Obdam. The Obdam was an ocean liner powered by sail and steam. It was not the kind of ocean liner that we are familiar with today, that emerged after 1900. It was built by the Irish shipbuilding company, Harland & Wolff. Ltd. in Belfast, Ireland. It was originally built for an English company and was originally named the British Queen. It could accomodate 80 passengers in 1st class, 60 in 2nd, and 800 in 3rd (more commonly referred to as steerage – remember the poorer Irish passengers accomodations in the movie, The Titanic). In 1889, it was sold to the Dutch company, Nederlandsche-Amerikaansche Stoomvaartm Mij. N. V., for their Holland-Amerika Line (HAL). It was renamed at this time to the Obdam, likely in honor of the 17th century Dutch navy commander, Jacob van Wassenaer Obdam. 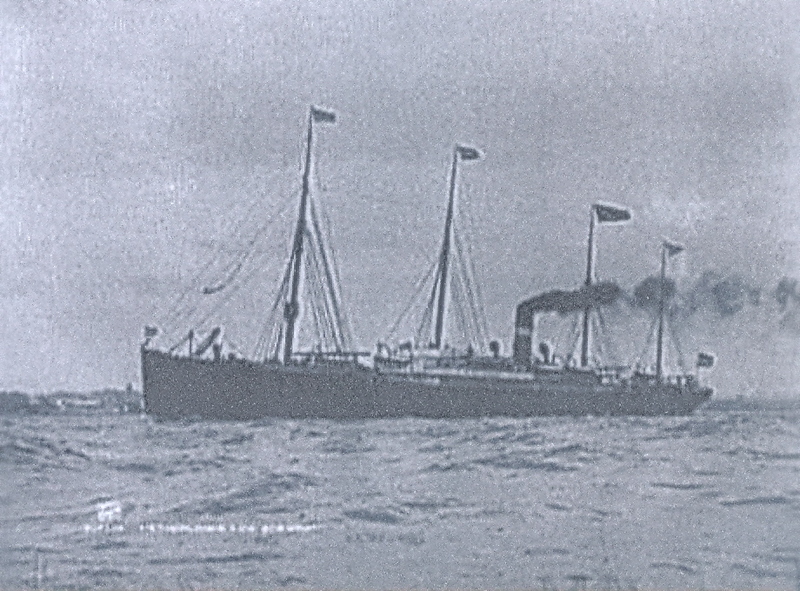 This vessel would be operated by the HAL for vogages to New York City, New York from approximately 1889 to 1892. The HAL had its offices in Rotterdam, near the pier. It is here that my grandparents likely purchased their tickets. The building still exists and is now the New York Hotel in Rotterdam, NL. The ship would later be sold to various other companies, and the name changed with each new company. Its last owner was Barber & Co. out of New York, USA, who re-christened it the SS Onega. On August 30, 1918 it was torpedoed by the Germans and sunk with approximately 500 people aboard. Thanks, Lynda. Keep up the good work. I will be looking forward to your next entry. Thank s Lynda this is awesome !! Thank you for posting this. I recently learned that my Great Grandfather travelled on this ship in 1894 from Germany to Ellis Island. I appreciate learning more history! My Great Grandfather’s family came to the USA from the Netherlands on this ship in 1894, and setteled in Muskegon, Michigan.